VINNIES have issued a public plea for support after a huge fire tore through its Maroochydore charity shop on Friday morning. The charity is determined to help people in need throughout the Christmas period, despite the centre having suffered extensive damage in the fire. Queensland CEO Peter Maher said the charity was committed to continuing its assistance to the community despite the fire, which had also damaged its adjacent Vinnies shop, leaving it unable to trade. "We don't want people in need to miss out due to this event," he said. "It's those people who we are focusing on right now. "We need the public to get behind us so that local children and families don't go without this Christmas. "We really need financial donations, or items that could be added to Christmas hampers that we give out each year to families and individuals." As Vinnies works towards establishing a temporary location from which to continue providing assistance, Mr Maher said people in need can still call Vinnies Helpline number on 1800 846 643. "We would also encourage those who are keen to help us at this time to call our Helpline to be directed to the best location to bring their donations of children's toys, Christmas puddings, canned foods, crackers and biscuits and other non-perishable food items," he said. "Donations will also be accepted at other Vinnies shops on the Sunshine Coast including Caloundra, Nambour and Noosaville. "Our volunteers in Maroochydore have assisted more than 3000 people so far this year, almost 1400 of those have been children. "We need the community to continue helping Vinnies support local families right through Christmas." Mr Maher said the Sunshine Coast has always been a community that rallies around one another when times get tough. "We know that the Sunshine Coast community is incredibly supportive of our good works and we just ask them to continue that support at this time to help us keep giving a hand up to local families in Maroochydore," he said. 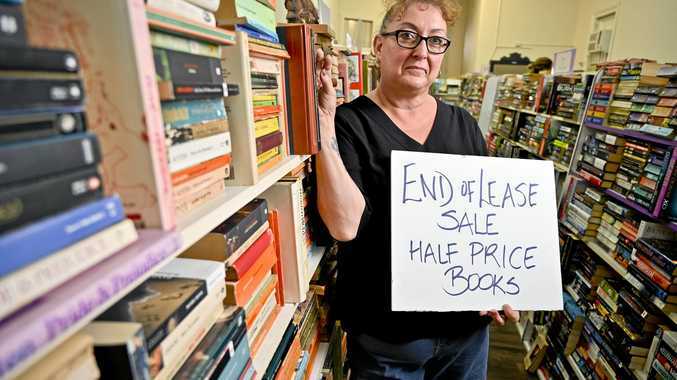 "We are also keen to hear from any shopping centres who may be willing to help us out with a location for setting up a pop-up Vinnies shop until we can re-establish a Vinnies shop in Maroochydore."